 Sharon was introduced to the benefits of kettlebells with Val Hedlund at Pacific Strength in San Clemente in June of 2010. She quickly recognized how her kettlebell practice helped her build and maintain the physical and mental strength she needed to do the things she loves. With the assistance and encouragement of Gabby and Val, Sharon became HKC certified in November 2010 and began teaching classes at NBKB in January 2011. Sharon’s 15 years of experience with group-exercise, conditioning and coaching (strength, aerobics, hiking, triathlon and running) has allowed her to develop her skills and has helped her to share the practice of Kettlebells with her clients. Sharon is a competitive age group endurance runner and triathlete and has competed and placed in numerous marathons, half marathons and trail running series. She’s completed two full Ironman Triathlons and numerous Half Ironman and Sprint/International/Olympic distance triathlons. Sharon also loves yoga, paddle boarding and hiking. You’ll find Sharon leading our early morning classes. She is exactly what you need at 6am – she’s always got a smile, is full of energy, and has an infectious positive attitude.